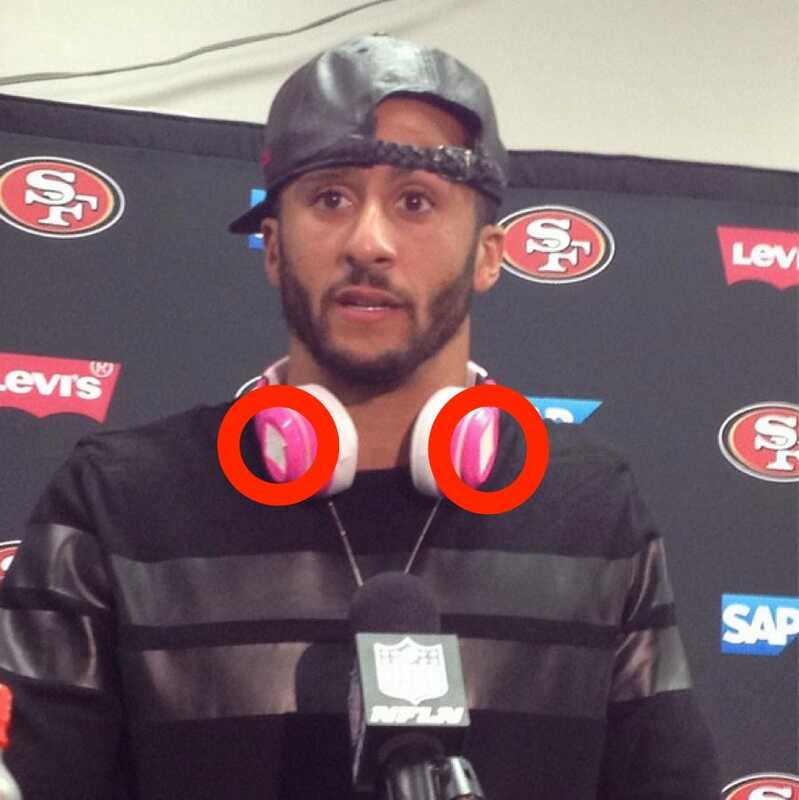 San Francisco 49ers quarterback Colin Kaepernick had to pay a $10,000 fine for wearing his Beats headphones, but found a way to avoid another fine: just put tape over the Beats logo. Bose is the official audio partner of the NFL, and athletes are not allowed to wear non-Bose audio products during broadcasts - and that makes Beats founder Jimmy Iovine feel "lucky." "We didn't do anything, and now the players are going out and putting black tape on our logo," Iovine recently said. "It's like, I can't believe I am this lucky. I feel like sending them the tape." Iovine also added: "What happened there, you have a tech company that's culturally inept. There's no one at the company that said, 'If you ban these guys, you're going to look bad to the young people, and they're going to look like superheroes even though they're just pure capitalists - well they're not pure capitalists, but they're real capitalists and [they] sold that company to Apple - but you're going to make them look like the underdog." Beats sponsors a number of different NFL players, and it doesn't seem like they are going to stop wearing the headphones without a fight. The ban has given the now Apple-owned company a significant amount of publicity and attention.